When my boyfriend and I first moved into our humble abode, it felt so, bare. Being an unfurnished property, this was only a given, however it meant we needed to fill the space with interior goodness, without getting ahead of ourselves. Somewhat frustrating, and a downside of renting (how I wish we could add pops of colour to the walls! ), but I think we've done a pretty cracking job, if I do say so myself. If you know me, you'll know I bloody love a good candle. 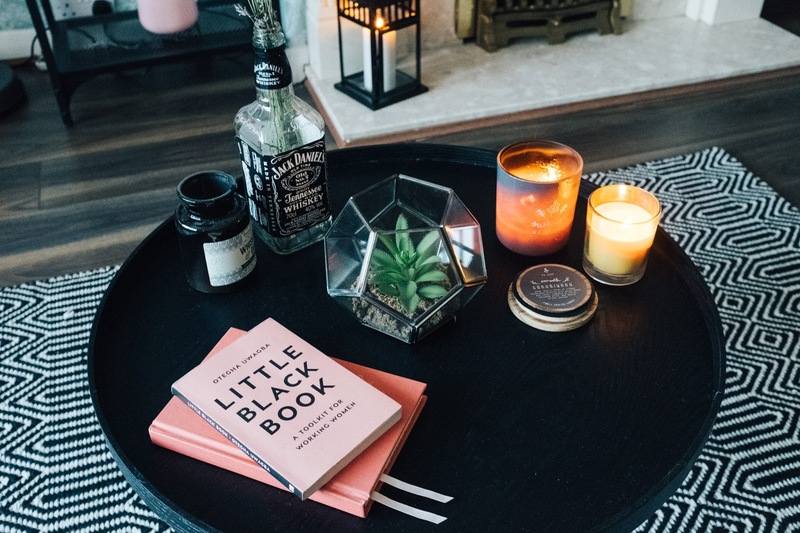 Not only do they smell ah-mazing, but they add serious cosy vibes to a room. My favourite places to hunt them out would have to be Tkmaxx and Homesense (I mean, duh). 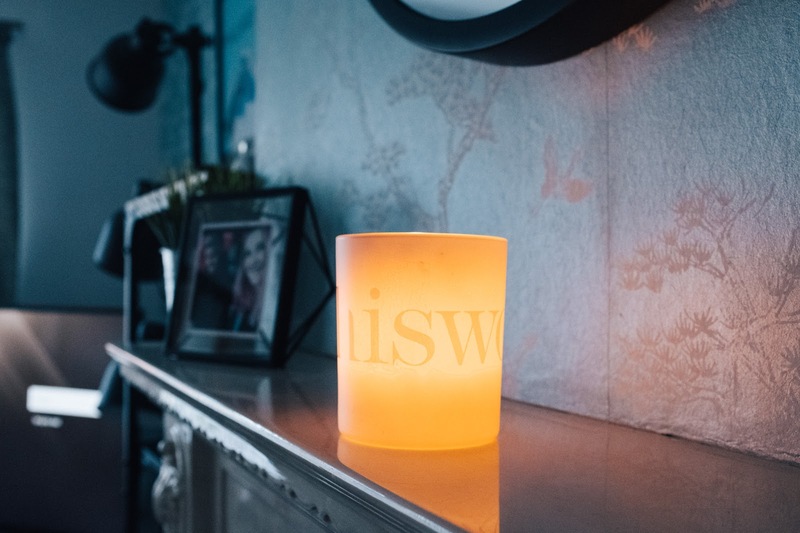 Their candle selection is a sight to be seen - from This Works to DW Home, they've got it all going on. I also rather enjoy a good trip to a garden centre as you can often find some gems there, too. If I'm honest, I wasn't really sold on this floral wallpaper set-up when we moved in. I mean, I would still much rather it be a funky toned emulsion, but alas, this is where the personal touches come in oh-so handy. Next are to thank for what you see in the above snap, which brings me on to fairy lights. I.can't.get.enough. With it being A/W, it's only right to have some warm-toned hues filtered through the house, right? 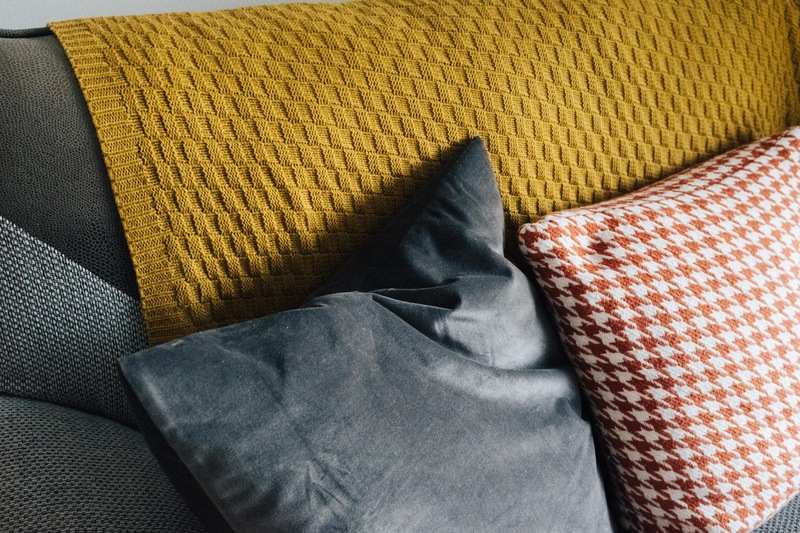 Along with fairy lights, cushions are my jam so I'm always keen to stock up. 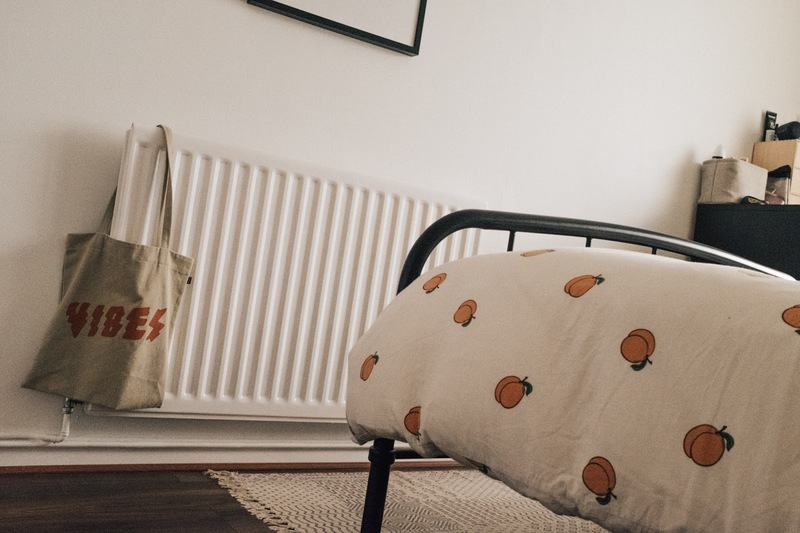 Our bedroom looks just peachy thanks to this epic set from Urban Outfitters; though we're planning a little Winter refresh next week and have our eyes on some v cute bedding. The excitement is oh-so real. Last but not least, plants. 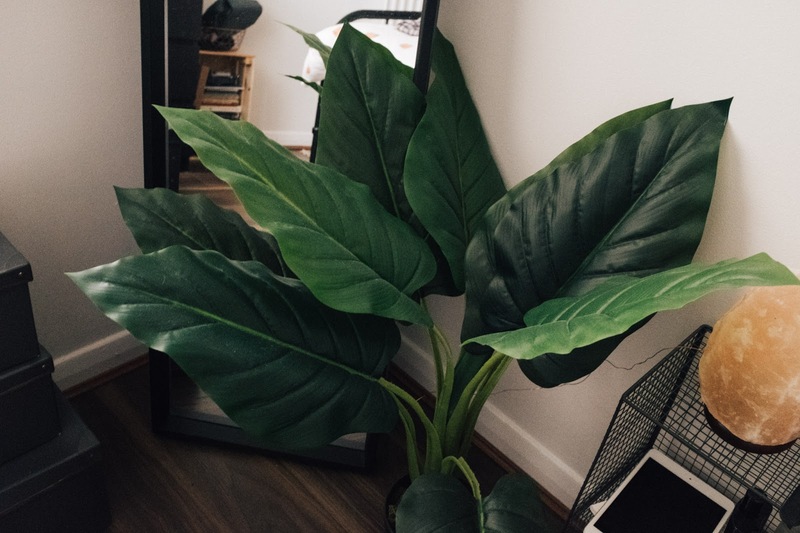 Can you ever have too many plants in your home? I mean, realistically the answer is probably yes, but I would have to disagree. They fill empty spaces perfectly and give off a nice zen feel to a room. You can also of course change them up each season and alternate them in different rooms to keep things fresh. Again, garden centres are your best bet, with most also stocking a good range of fake alternatives if that's your thing. 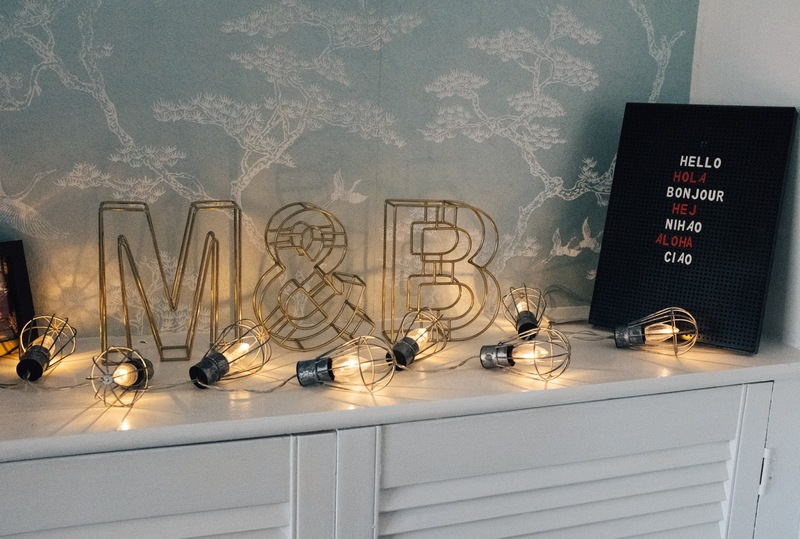 So there we have it, a quick round up of additions we've snapped up to make our house a little more, 'us' - I hope it will be of some use if you're looking to do the same!